On a hot day when you’d like something light for dinner, try these toasts. Get a good loaf of bread, and slice 1/2 to 3/4-inch thick. Grill on both sides until toasted. 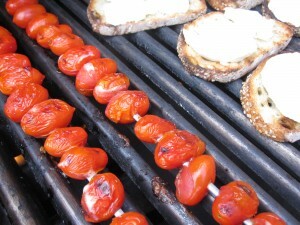 On a metal skewer, add the cherry or grape tomatoes leaving space between each. Lightly oil the hot grill and grill the tomatoes until hot and charred on the outside. 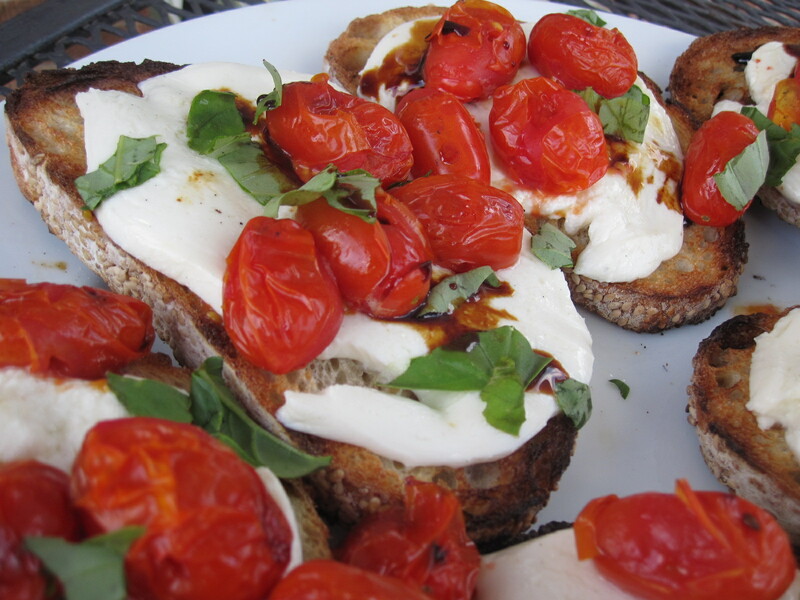 Lay think slices of fresh mozzarella on the toasted bread, top with the grilled tomatoes, and sprinkle with salt, olive oil, and balsamic vinegar. Nom. Nom.